What was it like to tour with the Rat Pack? The Alberici Sister, Rat Pack Golddiggers, share performances and stories about entertainment legends from TV and stage. 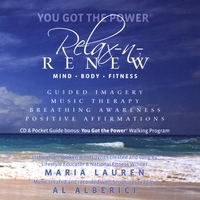 TV Host, Maria Lauren is a spokesperson for a healthy lifestyle and an entertainer. View YouTube on Home page.